Mashiko is full of traditional Japanese activities! Apart from Strawberry picking, Mashiko is known abroad for its Pottery culture and quality sake brewing. Although Mashiko pottery dates back to 1853, it was the master potter Shoji Hamada (1894-1978) who put Mashiko on the map in the 1920s. After meeting Bernard Leach (1887-1979) and living in St. Ives’, England, Hamada moved back to Japan and settled here in Mashiko. Hamada who was one of the center figures of the mingei (folk-craft movement) influenced the style of Mashiko pottery how it is known today. If you would like to try the potter’s wheel, there are many small studios offering small classes where beginners can enjoy making their own item. Tonoike Sake Brewery is a traditional Sake brewery 10min walk from our strawberry farm. Staff are very friendly and used to having international visitors. Their award-winning Sake is not only popular in Japan, but exported to half a dozen countries including, USA, UK, Australia, Hong Kong, Singapore, and France. If you visit make sure to visit their sake tasting room and try their Sake Icecream. On the weekends and public holidays, families and rail enthusiasts visit Mashiko to ride the steam train (steam locomotive) that runs between Shimodate and Motegi stations. The train drives past Mashiko Station twice a day at 11:28 and 15:01. Tickets are available at the station. Thinking of spending the night in Mashiko? 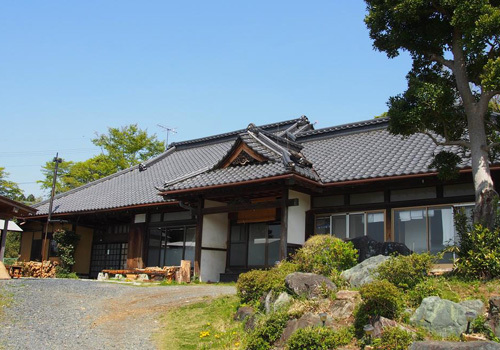 A rustic guest house with traditional Japanese-style rooms, a cozy hearth, and friendly staff. The pottery shops in Mashiko are within a walking distance. Bicycle rentals are also available. A cozy, family-run bed & breakfast and a perfect getaway surrounded by forests and rice fields. 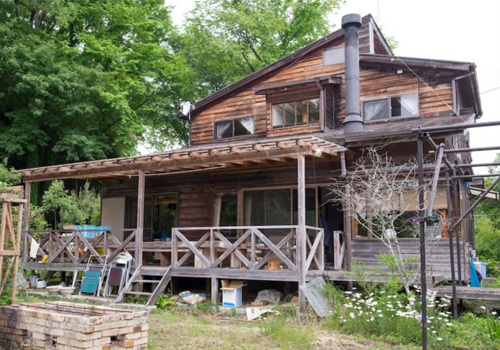 This B&B is a 10 min drive to Mashiko (pickup available upon request). 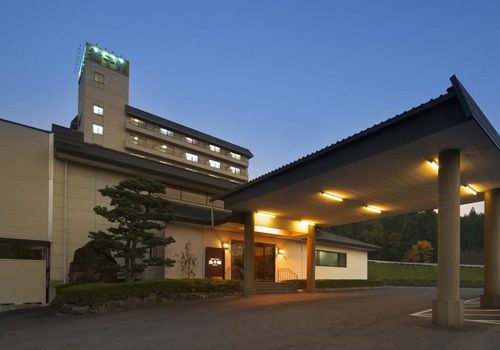 Experience true Japanese hospitality in this luxury ryokan-style hotel. Both Western and Japanese style rooms are available. 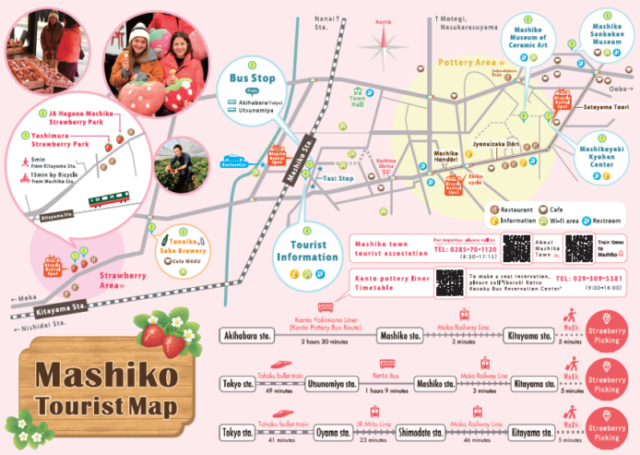 A Day Trip To Mashiko – Visit Pottery Studios And Make Your Own Souvenir! Mashiko Area – The renowned pottery production center which features an astounding 380 different styles. * The information in the brochure was correct at the time of printing, but it is subject to change, so please double check critical information when traveling. Check out the The Mashiko Tourist Association to see what’s on in Mashiko. The Mashiko Pottery Fair and Sunflower Festival are two of the most exciting events. Alternatively, contact our Ask me! team to get advice from a local!